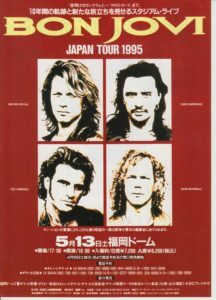 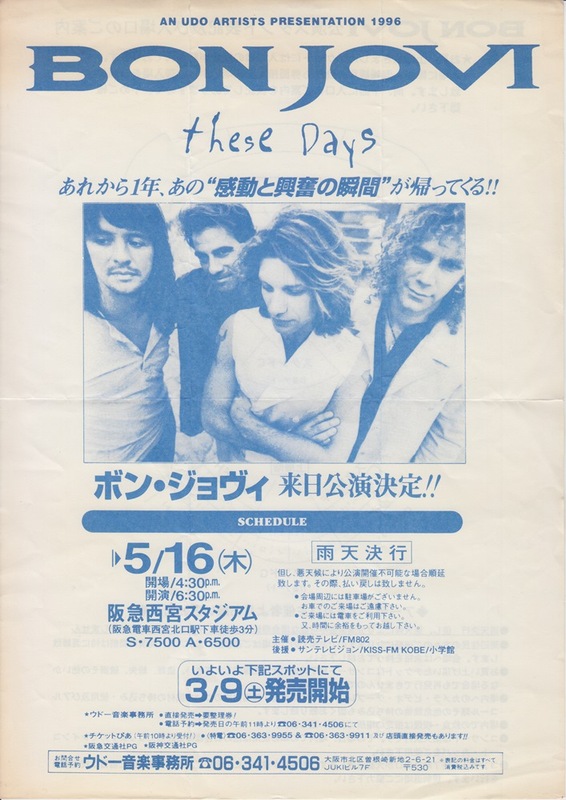 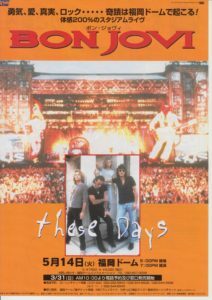 BON JOVI, 1993 visit to Japan, re-added performance announcement flyer. 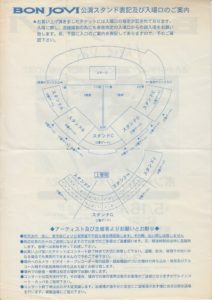 Single-sided printing, monochrome version. 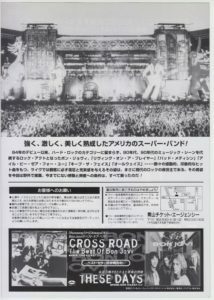 Immediately after the decision of the additional performance, it was produced before the newspaper announcement. 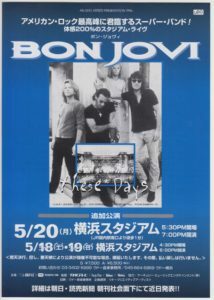 BON JOVI, 1993 visit to Japan, re-added performance announcement flyer. 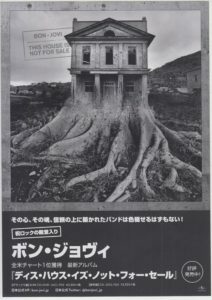 Single-sided printing, monochrome version. 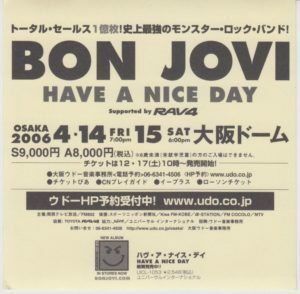 The first day of BON JOVI ‘s visit to Japan in 1993 was postponed due to JON BON JOVI’ s baby birth (birth of her eldest daughter Stephanie), and transferred to the daytime performance on June 6. 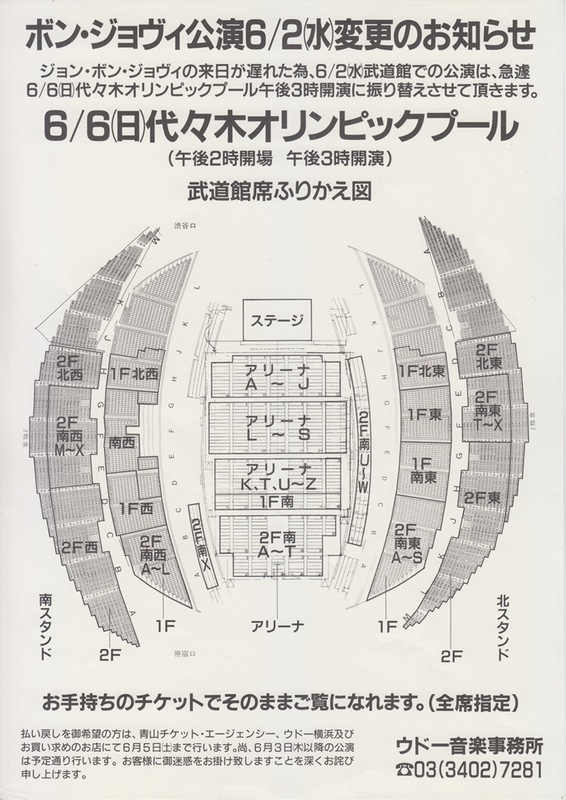 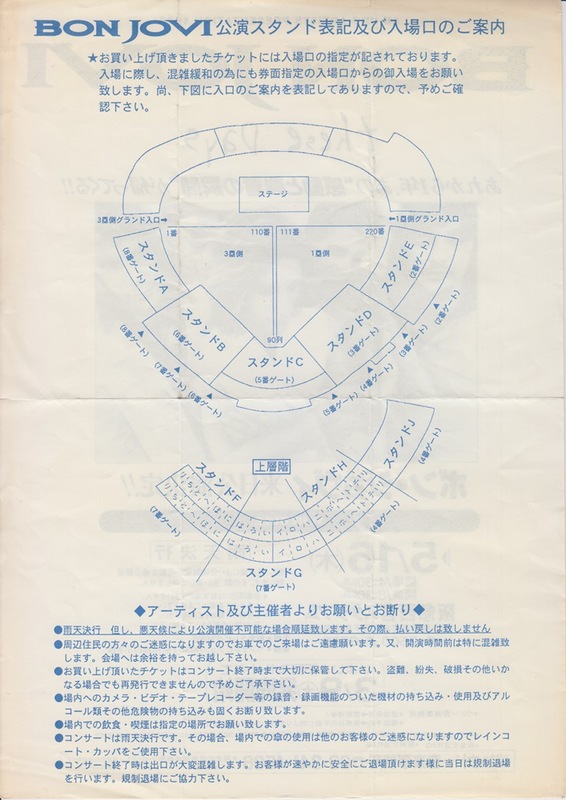 A flyer that posted a seat transfer diagram accompanying the change of the venue. 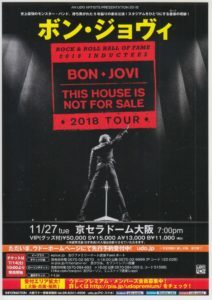 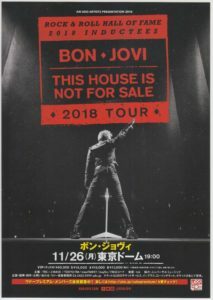 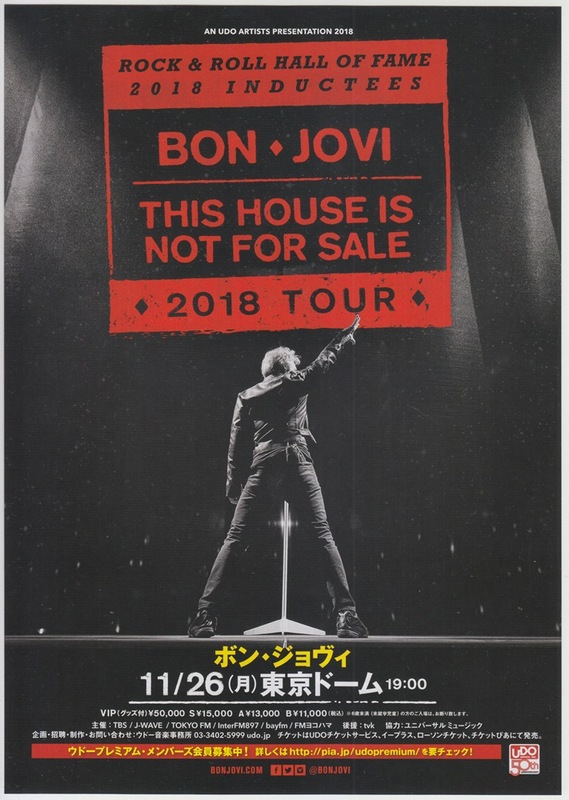 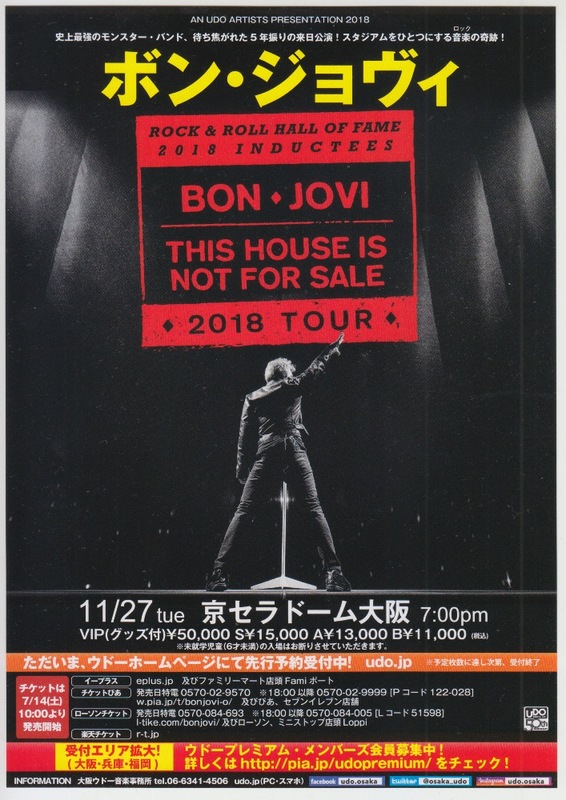 BON JOVI’s 2018 tour in Japan, Tokyo Dome performance announcement flyer. 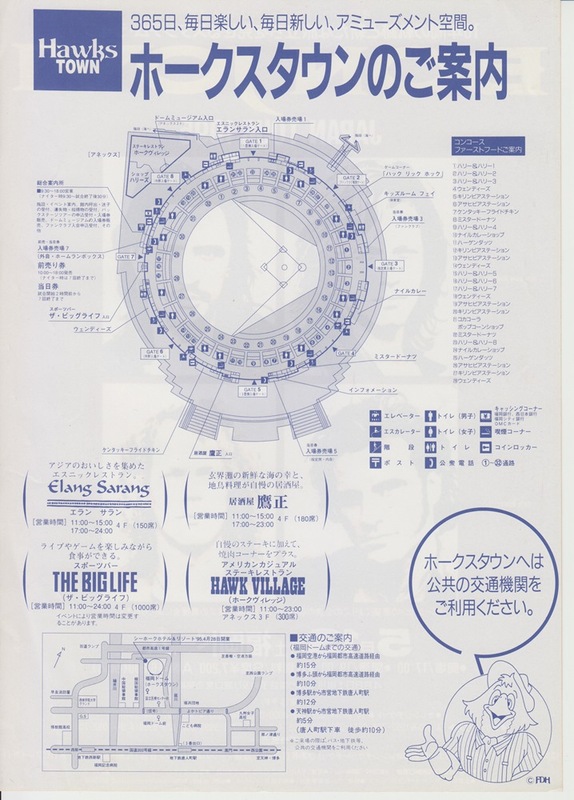 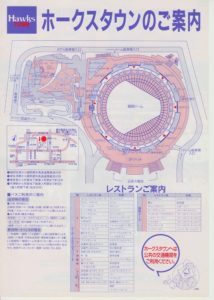 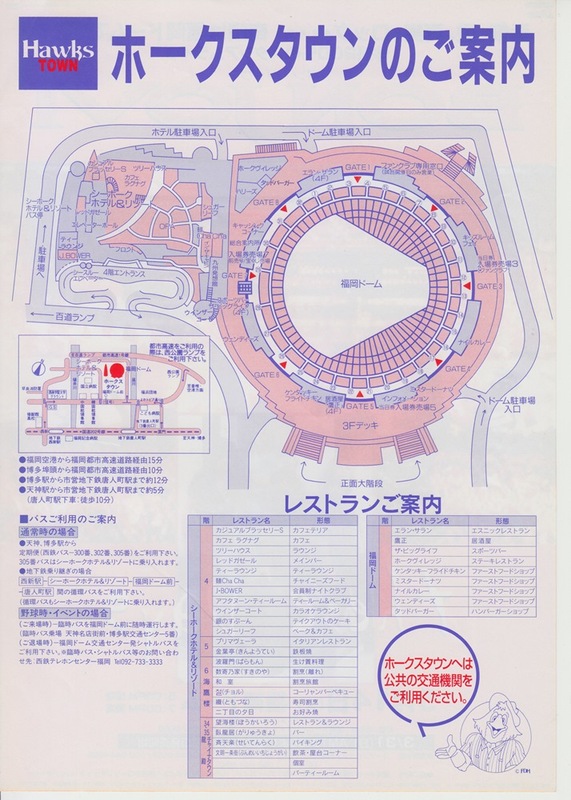 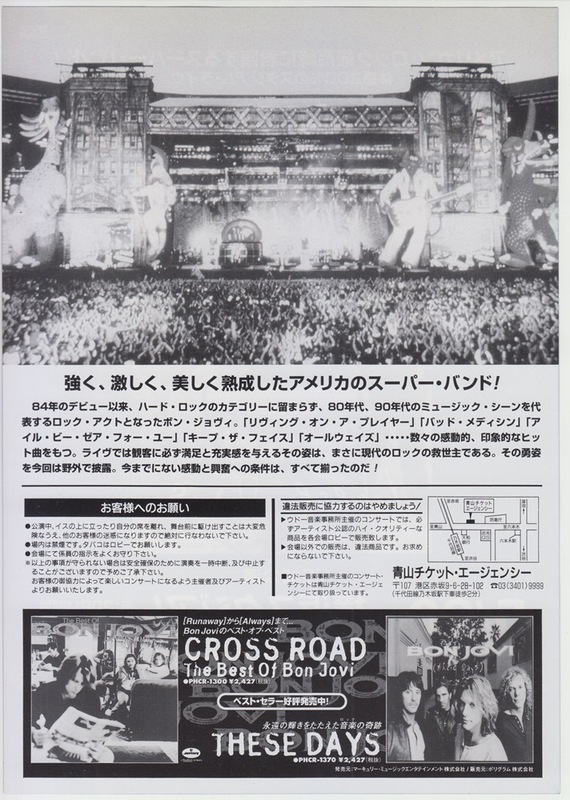 BON JOVI’s 1996 tour in Japan, the Hankyu Nishinomiya Stadium performance announcement flyer. BON JOVI’s 1996 tour in Japan, the Fukuoka Dome performance announcement flyer. 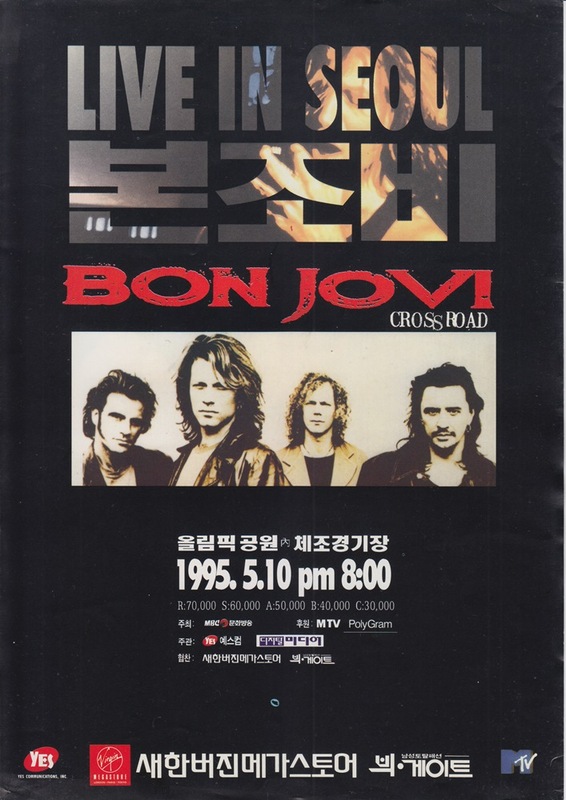 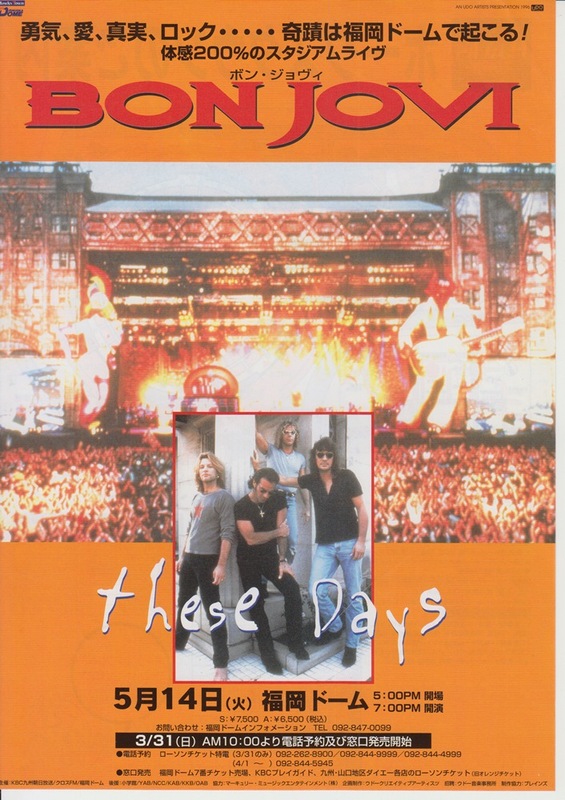 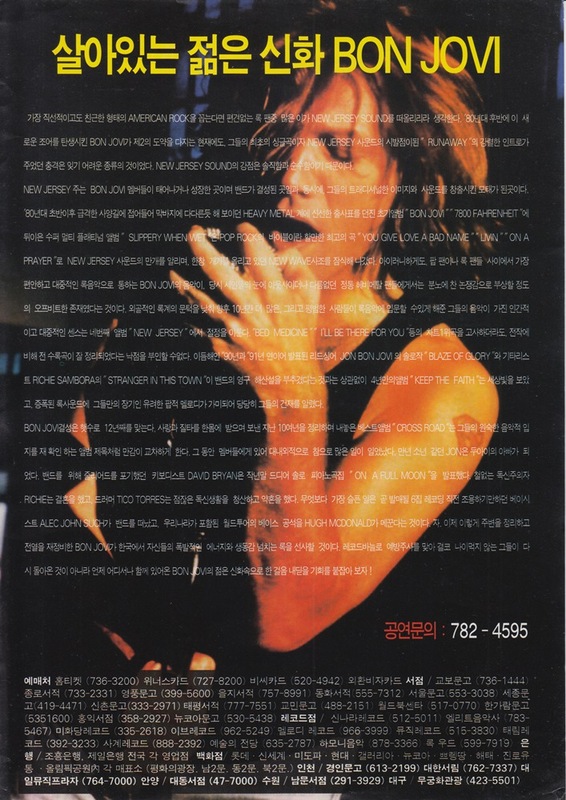 BON JOVI’s 1995 tour in Korea, the Olympic Stadium performance announcement flyer. 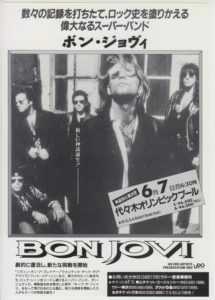 BON JOVI’s 1995 tour in Japan, the Fukuoka Dome performance announcement flyer. In response to the Hanshin-Awaji Earthquake of the same year, it was entitled “Reconstruction Support Concert”, and part of the proceeds was used for donation. 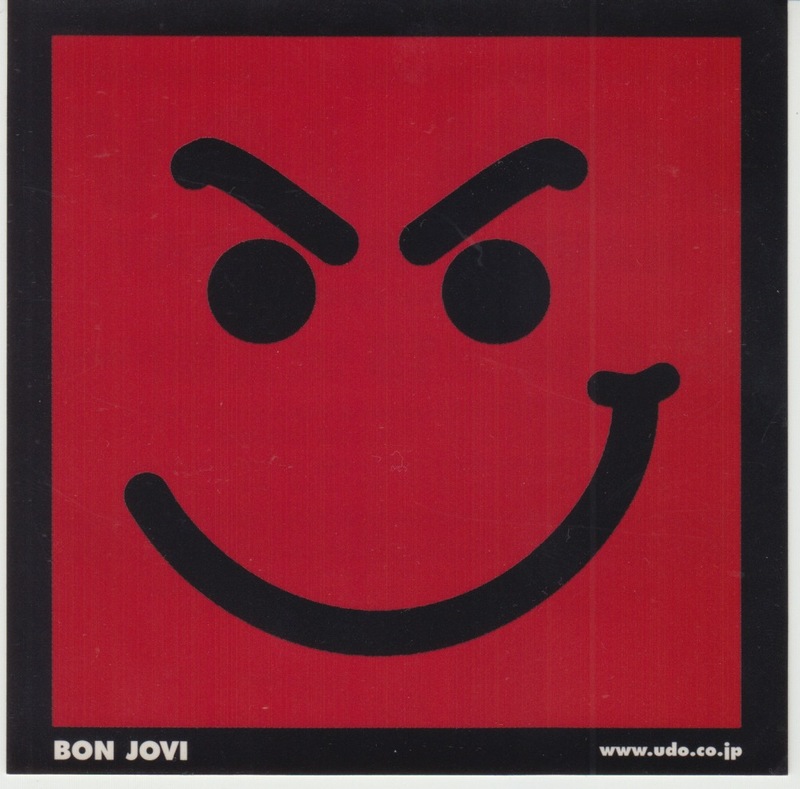 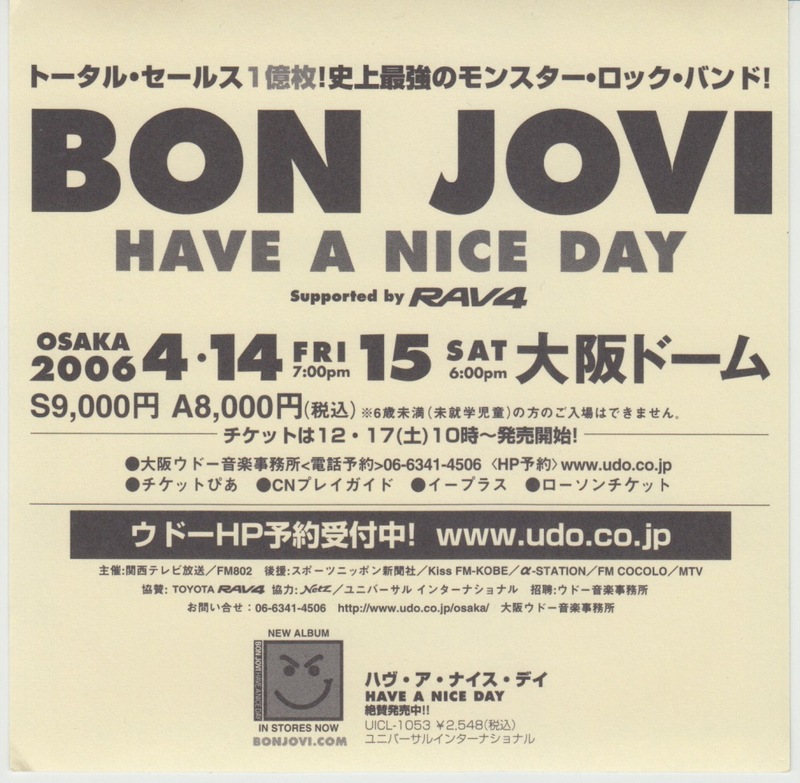 BON JOVI’s 2006 tour in Japan, the Osaka Dome performance announcement flyer sticker.